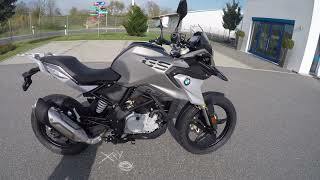 In the above categories, you will find all necessary accessories for your BMW G310GS to prepare it for big tours or simply to customize it. It will suit your needs perfectly. In the category of accessories and paint protection you will find locks, such as padlocks and disc locks, even cleaner, battery chargers and other useful things. In the category of navigation and communication you will find the latest motorcycle navigators and GPS systems from Garmin and TomTom as well as the required interphone systems. 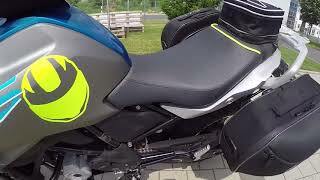 Of course, you will find luggage systems and the possibility to modify the seat of your BMW G310R. Moreover, the necessary brake pads, air filters and oil filters can be found in our shop. In the section aluminum and stainless steel you will find our aluminum products for fine tuning your machine as well as crash bars and much more.